Well, it’s been a while but I’ve just returned from Japan where I was completing the Advanced Certificate of the Sake Education Council’s Sake Professional Course. A successful trip in that I passed the test, learnt a lot and most importantly drank a lot of good nihonshu. Although, probably my favourite part of the trip was visiting sake breweries of various sizes in varying regions. 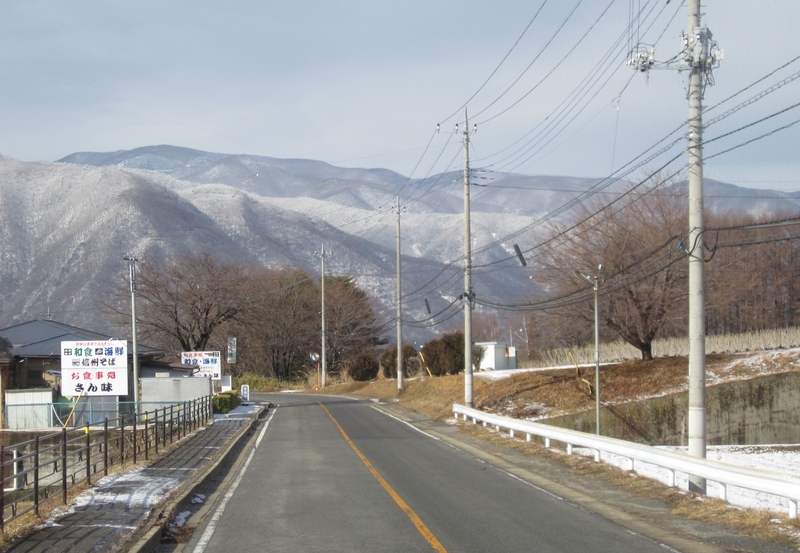 In Nagano we visited the very well-regarded (and rightfully so) Masumi. Roughly translated to mean “Mirror of Truth”, Masumi is this year seeing in their 350th anniversary-quite a feat. But Masumi is quite deserved of such a rich history. One of the leaders when it comes to solid, well-made sake without being bogged down by tradition, they are probably best known for the development of the No.7 yeast strain. You see, the yeast strains used in sake brewing are all rather unimaginatively numbered rather than named. Some breweries cultivate their own yeast strains but most purchase them directly from the Brewing Society of Japan. In 1946 the brewers at Masumi developed what became known as No.7. 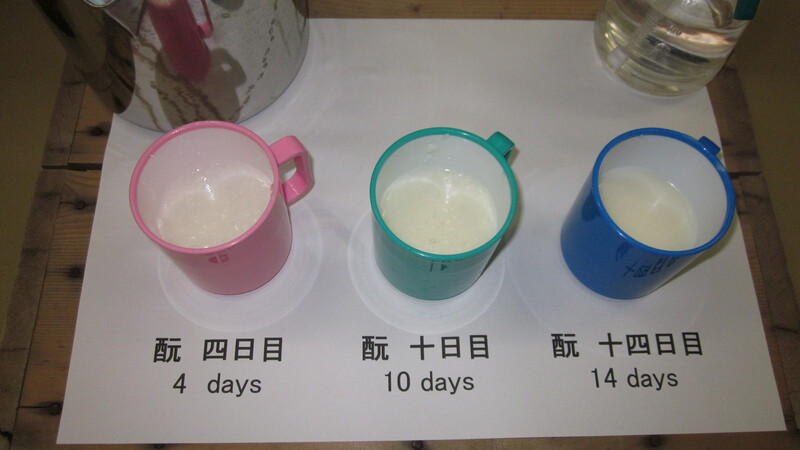 Now a very commonly used yeast strain across the country (used by around 60% of Japan’s breweries!). 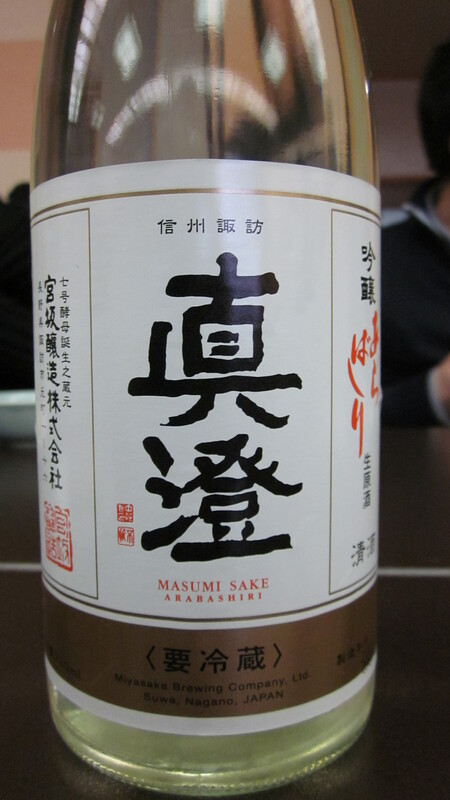 Full of fresh somewhat fruity aromatics it is mostly seen in namazake (unpasteurized), junmai and honjozo. It was also interesting to see Masumi also mill their own rice. These days many breweries outsource the milling process due to brewery space limits and simple time constraints. There are a few companies that are quite adept at milling so it is often easier to get the rice milled before it arrives at the brewery. 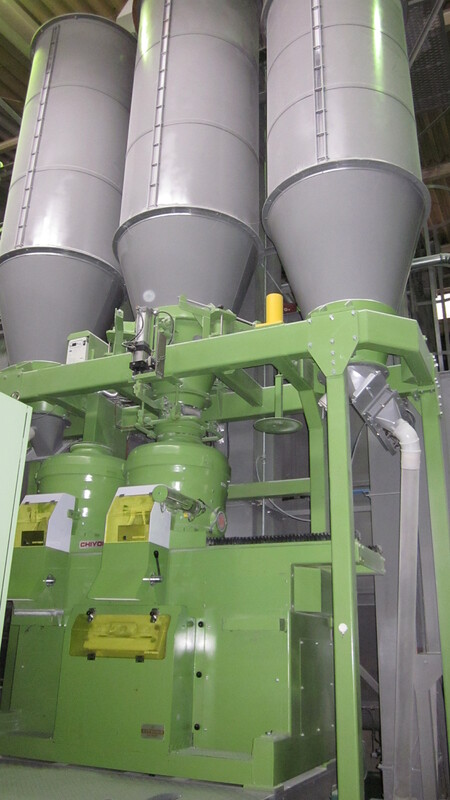 However, Masumi still does it themselves in a large and rather noisy milling room. Masumi actually has two breweries. A large main brewery in Fujimi active since 1982, rather beautifully covered in snow and surrounded by Nagano’s gorgeous mountain ranges, and the original brewery in Suwa-much older and smaller but reeking of history. After being taken through both breweries and treated to an amazing lunch, a comprehensive tasting of Masumi’s products was much appreciated. A thorough tasting at the end of the tour was much appreciated. All the sake tried was balanced, approachable and brilliant. For a brewery whose mission statement early on was to make the best damn sake in Japan, they’re doing pretty well. A tank of fermenting sake. The two cannisters are filled with ice and placed in the tank to lower the temperature of the mash as necessary. Lucky enough to sample the mash at three different points in the fermentation process. The flavours get quite tangy and tart along with obvious increases in CO2 spritz. Champagne fans will be familiar. This rack is used for riddling their sparkling sake. 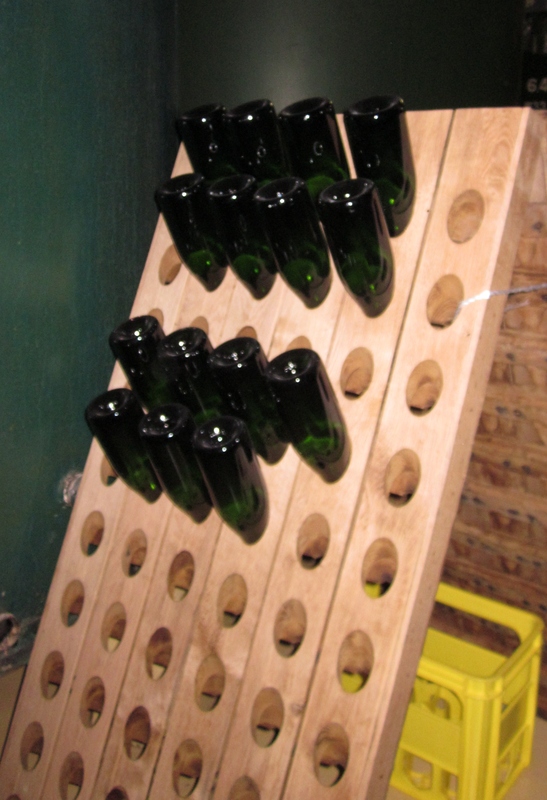 The bottles are rotated in the rack to encourage any lees and yeasty bits down to the neck of the bottle. The neck is then frozen and the floaties removed a’la Methode Champenoise. A small sampling of the delicious lunch put on by Masumi. Masumi’s Arabashiri (first run). Bright, sprizty and full of zest . A glimpse of the beautiful, snow kissed mountains surrounding the brewery. Masumi is not available retail in Australia as far as I know but is available in a few Japanese restaurants if you look around. It’s worth the search. 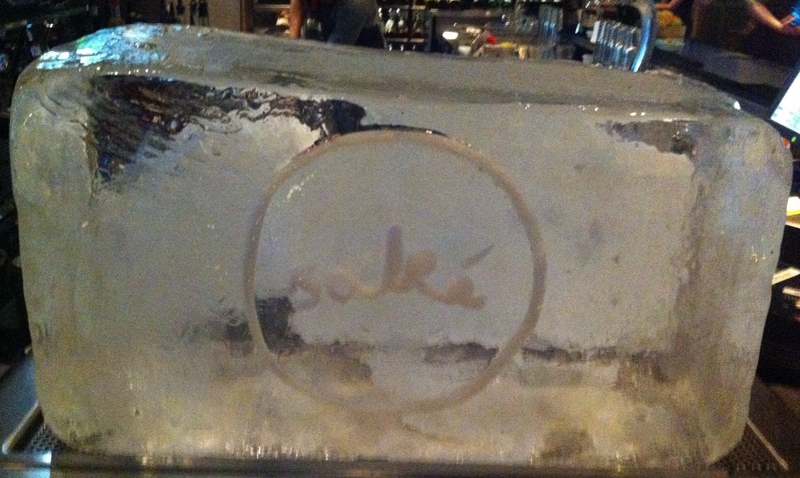 Thursday night I was lucky enough to attend a sake tasting/masterclass at Sake Restaurant in Brisbane. An event organised by Sommeliers Australia, it was great to see such a strong interest in sake from folks normally nose deep in wine. One of the things I love about these kind of events is the opportunity to try different styles and grades of sake alongside each other so the differences are even more apparent. 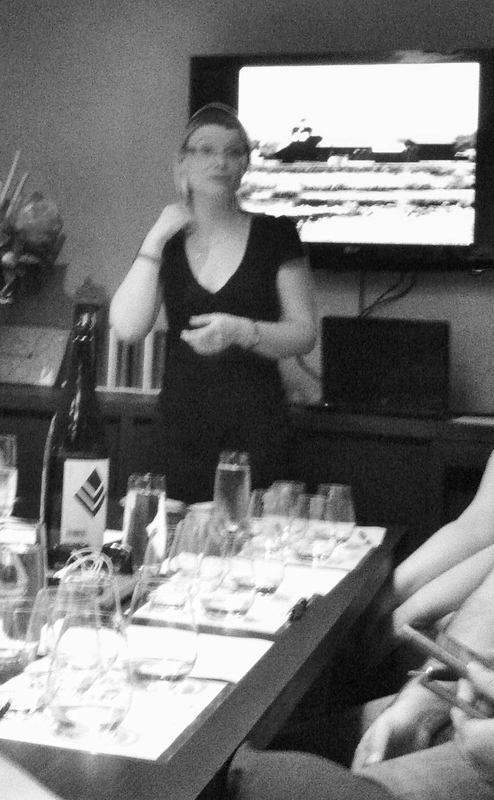 And I think some of the sommeliers in attendance were pleasantly surprised at the range and diversity sake can display. On show for the evening was sake from Nakashima Brewing’s Kozaemon. Nakashima is located in Gifu prefecture in central Japan. A fairly sleepy kind of area probably best known for its snow fields in winter. Boasting a 300 year history of sake making, Nakashima prides itself on their commitment to maintaining close relationships with all their contacts, in particular the growers of their rice. The evening was hosted by Sake Restaurant sommelier and resident sake expert Miriam McLachlan along with Nakashima Brewing president Kozaemon-san himself who happened to be in town. 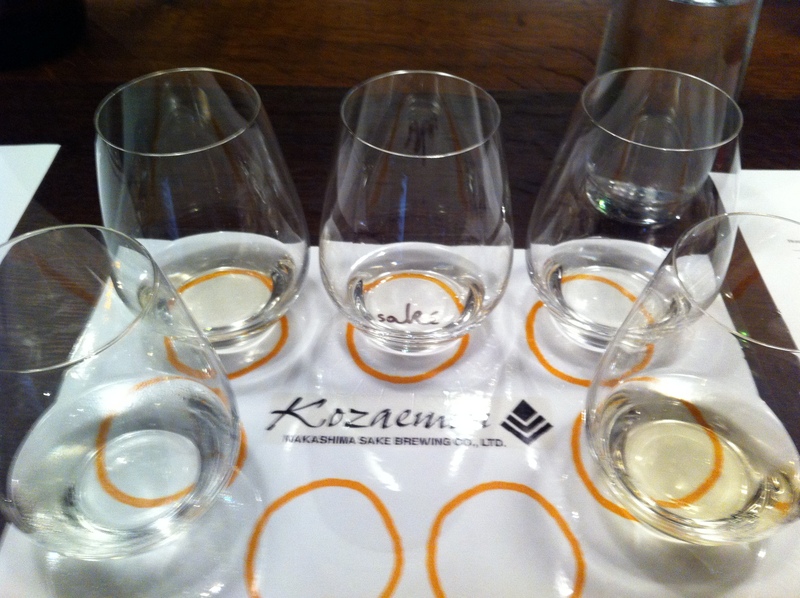 After running through some sake basics, presented in a detailed slide show and a look at some rice samples milled to different sizes it was down to the business of tasting We had seven different sakes representing a good diversity of styles from Kozaemon’s portfolio. First up was the Honjozo Kyoukai #7 Koubo Seimaibuai 70%- The seven refers to the number yeast used (sake yeasts are rather boringly numbered rather than having any names that refer to the type of flavour or aromas of the yeast). In true honjozo style there were some lifted aromatics with floral hints and aniseed notes. Not an overpowering or attention-demanding sake, more suited to everyday drinking and probably best served chilled (as the restaurant does) rather than warming. It was great to try the junmai next as it accurately highlighted how much honjozos and junmai can differ when done conforming to typical style profiles. The junmai was rustic, earthy with peppery grip and nice full umami richness. The fact that it had a milling rate of only 80% (as opposed to the more common 70% or thereabouts) further highlighted the ricey, chewy characteristics junmai can sometimes have. Next up was the Junmai Ginjo Shinano Miyamanishiki Organic (seimaibuai 50%). This proved to be the favourite among most of the crowd myself included. Beautiful banana, bubblegum and soft stone fruit aromas lead to a well-balanced palate with fresh acidity and satisfying fullness. You may notice that this sake has a seimaibuai of 50% which by rights would enable the brewers to label it the higher grade of Daiginjo. However as Kozaemon-san explained, it isn’t about claiming a certain classification just because you can. This particular sake was designed as a junmai ginjo and fits that flavour profile. The brewer will label the sake as he/she sees fit. If the sake is not a daiginjo in their eyes they will not label it as such even though they could and charge a higher price accordingly. Speaking of daiginjos next up was the Kozaemon Junmai Daiginjo (50%) which I believe cemented Kozaemon-san’s words about labelling sake as appropriate to style. In daiginjo fashion, the elegant, floral perfumed notes jumped out the glass. Managing to be light yet still showing some body, this is a very good daiginjo. A 3yr old Junmai Koshu was next. Unsurprisingly many of the sommeliers in attendance were keen to know about the effects of ageing sake and whether it was possible. Golden in colour, musty, cheesy aromas mixed with notes of old wood and hints of sherry. Definitely showing the possible outcome of ageing sake it was a fairly textbook example of koshu. It certainly aroused interest. Kozaemon Tokubetsu Jikagumi was an interesting spin on namazake (unpasteurized sake). Jikagumi means “directly pumped out” or perhaps “straight from the source” would be a better translation. Basically it is sake that is bottled straight after pressing rather than being fine filtered and pasteurized so it actually contains some of the naturally occurring CO2 from the fermentation process which gives it a very slight spritz. Essentially nama in style; it showed plenty of over the top aromas of melon, some tropical fruit and a background of strawberries and cream lollies. A fun sake. The tasting was topped off with a look at their Yuzu infused sake. Yuzu being a tart Japanese citrus fruit. Almost like a limoncello, it makes a nice digestif. Overall, it was a great evening. Kozaemon-san was a most affable and approachable host and Miriam is as passionate as she is knowledgable. Sake Restaurant itself is a very cool venue with a nice mix of Japanese tradition and modern class both in decor and food. Kozaemon sake is exclusive to the two Sake Restaurants (other one is in Sydney) and cannot be found in any bottle shops. So, if you’re up for some quality sake and fusion Japanese food served by knowledgable staff – you now know where to go. P.S. Apologies for the quality of the photos, I was far too engrossed in the sake. It’s always good to get beyond the boring old pale lagers that most folks drink and find beers that can really challenge people’s perception of what beer is. No doubt when most people think of Japanese beer they think of Asahi, Kirin and probably Sapporo. Sadly though, the versions of these beers sitting in your local bottleshop are not even made in Japan. Asahi is brewed in Thailand, Kirin is brewed by Lion Nathan and Sapporo is now brewed under license by Coopers. The exception being you can sometimes find the real versions of these on tap in some Japanese restaurants. But come on peeps, let’s think outside the box! For something that really screams “Japan!”, you can’t go past Hitachino Nest. Hitachino Nest is the beer label for Kiuchi Sake Brewery from Ibaraki prefecture located a little south of the main areas hit by the tragic earthquake that hit March earlier this year. (There are some amazing pictures of the damage to the brewery and the neighbourhood on their website). A brewery that makes sake, shochu and beer; these guys have their hands full. Taking the wonderful approach of using local ingredients and traditional methods to create something with a true Japanese character, the Red Rice Ale is a great place to get your preconceptions of Japanese beer turned on their head. You may or may not have seen red rice before; usually used in ceremonial dishes, it is rice fermented with a red mould giving it its colour. This rice is added to the beer mash which then spends some time in sake casks – really bringing out a flavour unlike any other beer. Oddly, one of the initial aromas that jumps out is that of black olives but it makes way for some cherry, strawberry and hints of sake phenols with very mild bitterness. And the 7% alcohol is very well hidden. Not really a beer for sushi or fish dishes, I think you’ll find the Red Rice Ale goes quite well with pickled vegetables and tsukemono. So, next time you’re looking for some real Japanese beer remember there is more out there than just crisp dry lagers. If you’re interested in getting into the business end of sake, Dassai is a pretty good place to start. Hailing from Yamaguchi prefecture, Dassai (made by Asahi Shuzo) has done a good job of bringing sake into the 21st century with some forward thinking and chance taking. One of the first things that struck me about Dassai when I first came across them was the name. It actually translates to mean “otter festival”. Sounds like a cute enough name, but it’s actually quite close to another Japanese word – dasai, which means “dorky” or “daggy”. That double S is important! One of the things that makes Dassai unique (especially for its size) is that they brew all year round. Traditionally, sake is brewed in the cooler months. In the old days winter was when the brewery workers would be free from working their own farms to come and make sake. Once the sake brewing season was over they’d head back until next year. It was/is also widely believed that the cooler months were best for the sake fermentation process. But by freezing some of their rice after harvest (remember rice is just a grain, raw material unlike grapes) they can continue to make sake even after the winter comes to a close. Dassai has also been one of the envelope pushers when it comes to rice milling. Rice milling being polishing the outside layers of rice to reach a more pure, starchier centre which in turn produces a cleaner, pristine more aromatic sake. Daiginjo-the highest level of sake, has to be milled to at least 50%. Meaning 50% of the rice must be milled away (as in the sake I’m enjoying right now). For competitions and the like, it isn’t uncommon for sake to be milled down to as much as 35%. However, Dassai has been known to go as far as their famous 23% daiginjo. 23%! Think of how large a grain of rice would be once you’ve ground 77% away! It’s time-consuming and expensive but owner/master brewer Sakurai-san is not known for cutting corners. 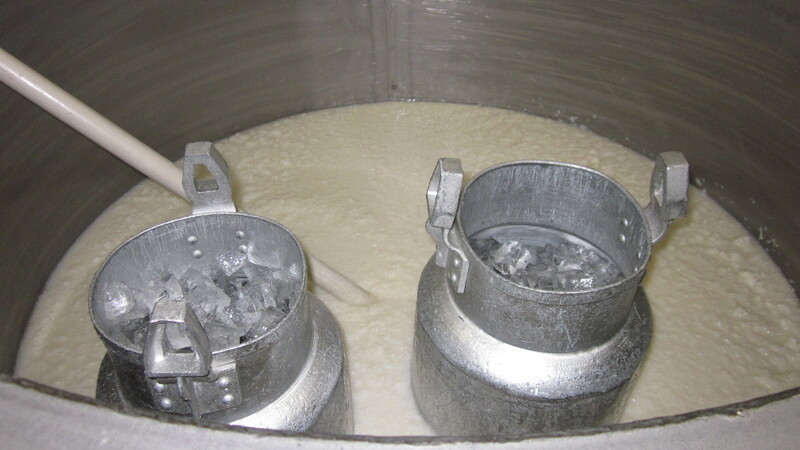 Another of Dassai’s firsts is their use of centrifugal machinery to separate the sake from its lees (yeasty chunks). Usually this is done with a giant accordion looking press but Asahi Shuzo is the first brewery to use a centrifuge for the separation process. Modern much? The humble 50% daiginjo is a beautifully balanced brew. Aromas are floral with some slight earthy background notes. Not as much of a fruity daiginjo. The acidity is pleasantly medium and helps this bad boy slide down with ridiculous ease. The slogan on their website declares that Dassai sake is for sipping rather than glugging, but when it goes down this easy it’s hard to slow down! The pride of any self-respecting wine dude is the wine cellar. Even beer geeks are exploring the possibilities and potential of cellaring. Cellaring being the idea of putting aside a few bottles that will “reward with time”, ie. mature into a more complex and interesting beast. A practice most familiar to the wine world. So how does sake fare after a few years in the cellar? Usually, not too well. Firstly, the compounds in wine that give it the ability to age are either not present at all or not present in a large enough capacity to enable effective ageing. Tannin is essential to the ageing process of red wine, coming from the grape skin, vine and the barrels used for maturation. In white wines that have the ability to age, a good acid level is required. 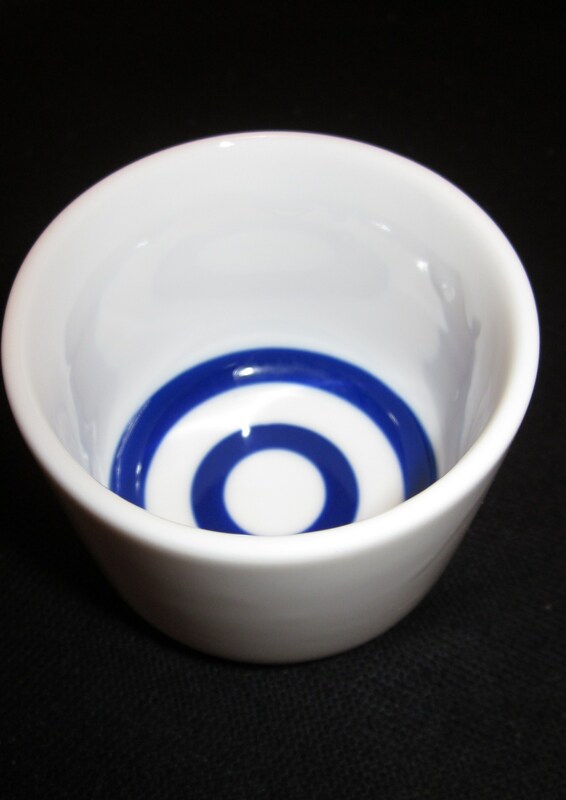 Sake contains no tannin and has far less acidity than white wine leaving it at something of a disadvantage to start. So why do it? And does anybody drink it? It seems the answer is “yes”. Ageing sake has been done for many years and there are quite a few breweries out there that make ko-shu 古酒 (old sake) or choki jukuseishu長期熟成酒 (long term matured sake). It is out there but it isn’t particularly common. 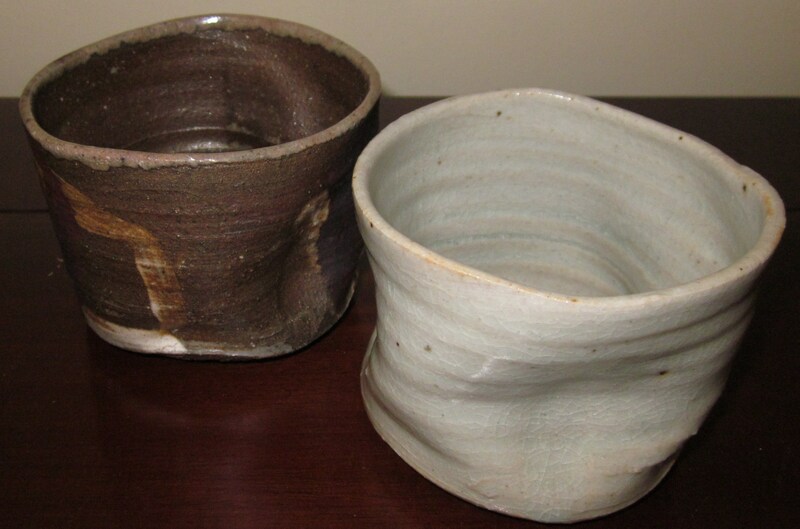 However, a recent article on a popular Japanese news site hints at a possible renewed interest in aged sake. The article refers in particular to a bar in Osaka called Jukuseikoshu Bar Quon (try saying that after a few glasses of sake). A bar that has found its niche with a menu of around 10-20 aged sakes. Fans of the old brew refer to the soft rounded flavours and the reduced effects of hangovers(?). For now, I’ll hold off on my skepticism regarding reduced hangovers but round, smooth flavours I can understand. I should admit I haven’t had a lot of aged sake. At least not a lot of sake that was meant to be aged. Unfortunately, the sake you find on the bottleshop shelf is often koshu by default. Buying sake for consumption at home doesn’t seem to have quite taken off in Australia yet, so till then check the dates on the bottle when shopping about. Dates? Did somebody say dates? Yes, if you check out the bottle of sak e nearest you, you will find a date printed somewhere on the bottle or label that specifies the day the bottle was shipped. 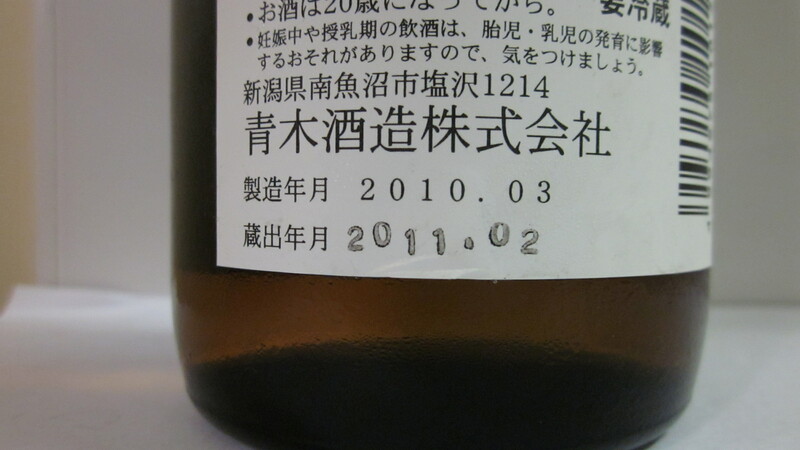 Most sake is stored at the brewery until they think it’s ready, so the date reflects when it left the brewery as opposed to when it was bottled. So what can you expect from aged sake? It depends on whether it is koshu that has been designed by the brewery to be drunk as an aged product or whether it is sake that was probably intended to be drunk fresh but has been kept for a while and has become old sake. 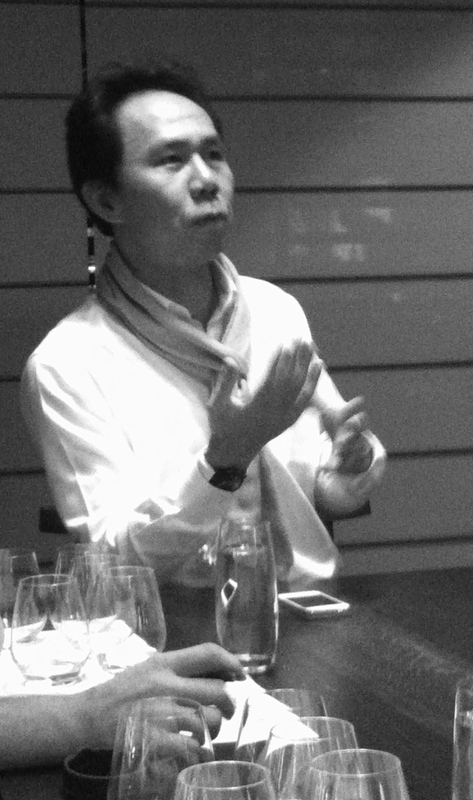 Deliberately aged koshu can often have sherry like aromas, a dessert like sweetness and woody aromas. They can be delicious and rewarding. 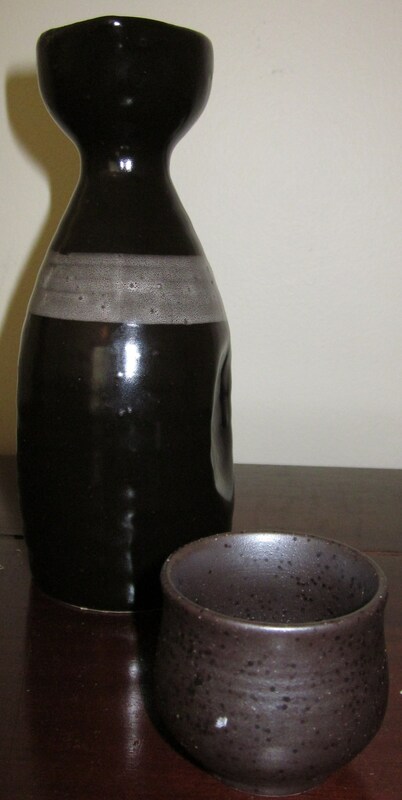 Sake that is just plain old can be a funky, dull and show aromas and flavours more resembling cooking sake. 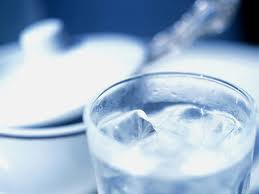 but in my opinion, if you are looking for what makes sake great-drink it fresh. Within a year is best but given the slow turnover of sake in Australia two years sometimes has to be settled for. I guess what I’m getting at is there isn’t much point getting hung up on ageing sake. Age your wines by all means but drink your sake as quick as you can. A sake cellar sounds nice in theory but keep the turnover high. Ask a brewer and you’ll find almost all of them will recommend you drink their sake fresh. If you’re concentrating on ageing and what will cellar well, you’re missing the point. So if you spot something labelled as koshu, by all means give it a go, but anything else I’d be drinking up as quick as you can; just how the brewer wanted you to. At some point in the discussion of sake with anyone with a passing interest, the name Philip Harper pops up eventually. For those that aren’t familiar, Philip Harper is Japan’s only non-Japanese toji (master brewer). An Englishman who developed a taste for the rice brew early on in a stint in Japan teaching English around twenty years ago. What started with a job helping out at a local brewery when time permitted eventually led to a full-time job which then led to work with some more breweries, further study and now his status as master brewer for Kinoshita Brewery in Kyoto. While Mr Harper’s unique position as Japan’s only ever foreign toji is worthy of praise as a testament to his tenacity and determination to succeed in a profession steeped in a tradition not so open to outsiders, it isn’t defining. The sake Philip is producing is not the sake of a foreigner trying to change the rules or put his own British spin on things. Fortunately, it is the sake of someone who has obviously learnt the craft as any Japanese would have, resulting in sake of true quality, depth and style. The Tamagawa Junmai Ginjo I’ve been ploughing my way through these last few days is an almost rustic brew. It doesn’t have the showy, fruity ginjo nose that can be apparent in some ginjos. Instead, it shows woody aromas, floral hints, touches of dry autumn leaves (don’t laugh, I know what I mean) and soft earthiness. On the palate its soft acidity make it a very smooth, elegant, easy drink quite rich in umami. This particular sake is made using Omachi rice. Not an uncommon rice variety, but not the most popular either. I find it often to be quite distinctive in that sake using this variety often have an almost chestnut-like aroma and taste. Not exclusive to omachi but for me, common. Also interestingly, this sake fares well slightly warmed. Now, I know I may have said ginjo should be drunk chilled; and for the most part it should, but a little warmth softens the edges giving a feeling of a buzzed nirvana (too much?). Philip Harper has been instrumental in getting sake out and about in the English speaking world, authoring a number of books well worth reading if you come across them (which can be difficult in Australia). In the meantime hunt down some Tamagawa sake and see what happens (or more correctly and thankfully doesn’t happen) when a non-Japanese brews it. On a recent trip to Japan I stumbled across this little gem from Wakayama in a very small liquor store in Osaka. Oddly, on this occasion I wasn’t even looking for sake. I was a little peckish for some good beer snacks but when I saw what I figured was an homage to the great film director Akira Kurosawa in sake form, how could I resist. For those that aren’t familiar, Rashomon is the film that brought director Akira Kurosawa to the world’s attention as a serious contender in the international film industry. In particular the style of story telling in the film was something not seen before but has been imitated many times since. Now, I’m no movie critic so I won’t babble on too much about the film but let me just say, if you haven’t seen it – see it! I wondered if it was just a coincidence but after checking out the website for Tabata Shuzo, the makers of this sake, it turns out the sake was indeed named after the film. Just as Akira Kurosawa reached a wide international audience with Rashomon, a former company president also hoped to break the boundaries with their sake. Well, with the rare honour of having a woman leading the brewing, boundaries are definitely being broken. The good news is, this is no novelty sake. It pours with a clear, water-like consistency. The nose is led by aromas of pear and melon with a slightly funky background. There is a touch of pepperiness but overall it’s a fat, luscious mouthfeel with a moreish aftertaste. There’s some weight to the body which lends itself to its junmai pedigree but the overall balance is what makes this a very cool sake indeed. It has the weight to man-up to a variety of foods, especially umami-rich foods like scallops, but drinks great just on its own too. Unfortunately, as far as I know, this sake is not available in Australia. However, it’s a fantastic sake with an interesting back-story I thought. So, in the words of Ferris Bueller, “if you have the means, I highly recommend picking one up”. By the way, they also have a sake called Seven Samurai also named after another Akira Kurosawa classic. Alright, let’s confront the sake slurping elephant in the room. 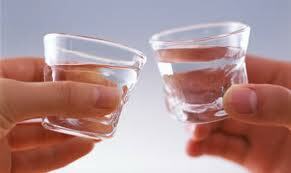 Whenever the topic of sake comes up the first discussion is usually whether to drink it hot or chilled. And I’m here to tell you that like many things sake (and Japanese for that matter) there is no clear-cut answer. What I can tell you though, is both have their place. Most people have probably had their introduction to sake through hot or warmed sake (incidentally called O-kan in Japanese). Then, at some point you may have met someone who proclaimed that no longer is it necessary to drink sake warm, it should be drunk chilled. Why? Because sake of days gone by was of a lesser quality and a bit rough, warming it up covered those flaws making the sake more palatable. Now, this is partly true. No doubt the sake making techniques in the old days were not as refined and calculated as they are today. Sake of old was not as aromatic and would’ve been gritty and nutty. The lack of refining techniques probably left some musty type flavours that magically disappeared when the sake was heated. Also, early sake was stored in cedar barrels which would also have contributed to a duller flavour profile. While these may be contributors, it’s not the only reason for warming sake. One glaringly obvious fact is that refrigeration as we know it didn’t exist until the last 150 odd years. Use of ice and snow for refrigeration did exist in some cultures but it was used mostly as a means of preservation of foods. In years gone by, food and drink was taken warm. One reason being it was considered healthier. So, to say sake used to be drunk warm to cover up flaws isn’t entirely correct. 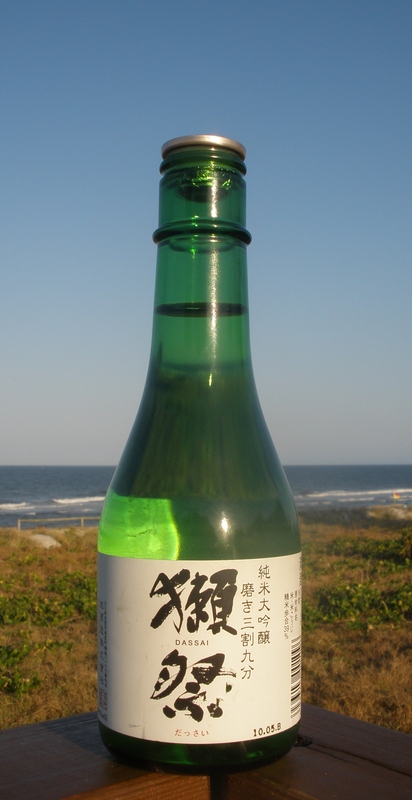 Chilled sake was occasionally drunk but warm was considered the standard. Now, in the case of modern sake, the ginjo style (refined, elegant and aromatic) has only really been around commercially for the last forty years or so. And in fact most of sake’s major technical breakthroughs have occurred in the last 100 years. The development of better rice milling machines for example, enabled brewers to start accurately milling to levels never done before. Along with other factors such as the development of new aromatic yeast strains and cultivating new hybrids of sake rice, this lead to a trend of lighter, aromatic more complex styles of sake that are better appreciated slightly chilled like a white wine. However, keep in mind there are still breweries out there making sturdy old school sake. Sure, they are making it better than it would have been made a few hundred years ago but it’s still old school. I often find that some of those ricey, chewy junmai (pure rice) sakes can lack in the aroma department when chilled and tend to be a little dull. But give em’ a bit of heat and they can come alive. Notice I say a bit of heat. You don’t want to be serving sake at scalding temperatures. Just warmed, around 40 degrees is nice. Another thing to take into account is climate. Here in Queensland I don’t often feel the hankering for warm beverages. However, those in cooler areas may find a slightly warmed sake on a cool evening to be quite lush. Japan’s winters can be brutal so it’s little wonder that the tradition of warm sake has held on. So, it’s probably fair to say when it comes to nama sake (unpasteurized sake that is lively, fresh and zippy), ginjo and definitely daiginjo sake, chilled is the way to go. 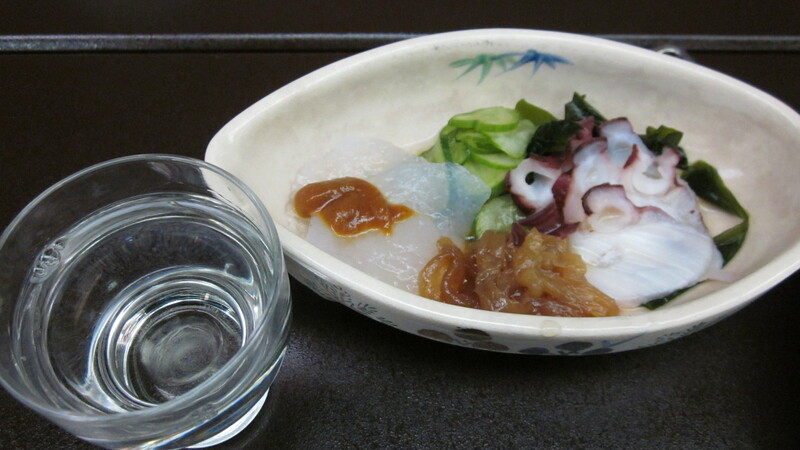 Honjozo and junmai are also likely to be good chilled but may work warmed depending on the sake. It can simply be a matter of trial and error. The good news is that many breweries put a little guide on the back label of their sake with serving temperature suggestions. As for the cheap nasty stuff? Heat it up. Ordering in restaurants can be tricky. Sadly, I find a lot of staff (in Australian Japanese restaurants) don’t know their product and will happily offer to serve sake warm or chilled regardless of the sake. If they are strongly recommending you drink their sake warmed it’s sometimes because they know it’s nasty and heating will cover it up. Don’t be afraid to ask your server why they recommend heating. If you’re unsure, usually it’s safer to order the sake chilled and then if it isn’t happening for you ask them to warm it up.